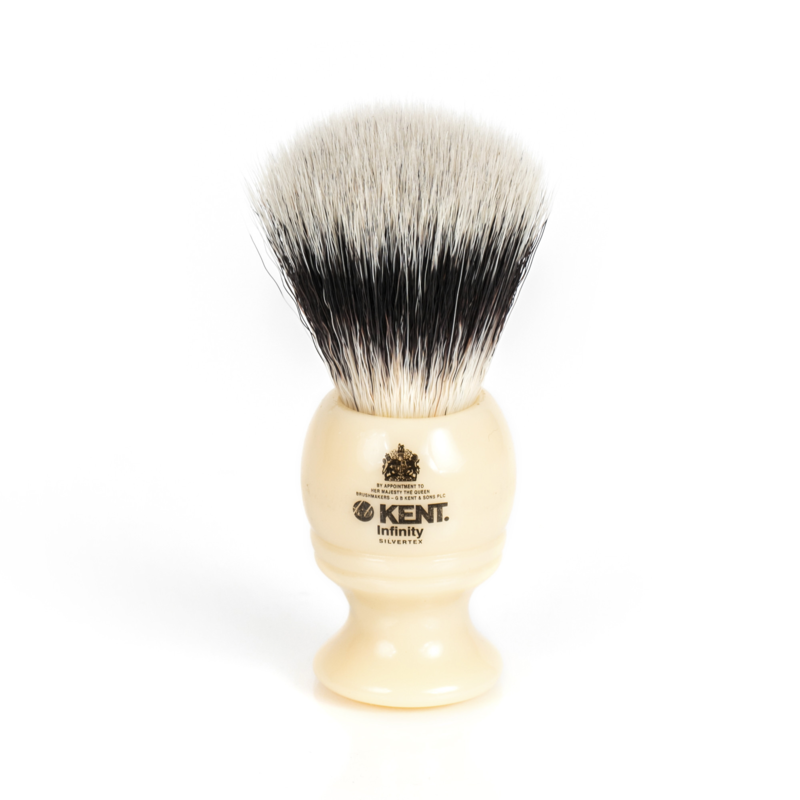 This brute of a traditional shaving brush will wallop an abundance of lather onto your mug. Firstly the handle sets the Hexagon range far apart from anything shaving before. 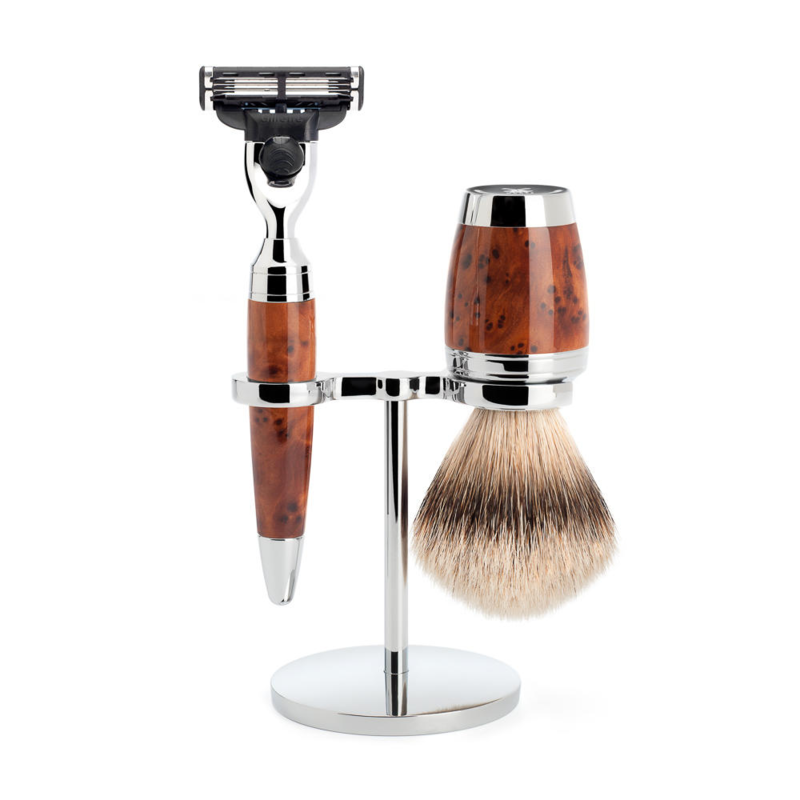 The Industrial look of the shaving brush, Is perhaps Inspired by Germany’s rich design history, Such as the Bauhaus movement. A very Interesting feature that we think Is rather special, Is the Muhle global position Is stamped Into the handle. Lending the brush a military vibe. The knot Is badger and the highest grade being silver tip. 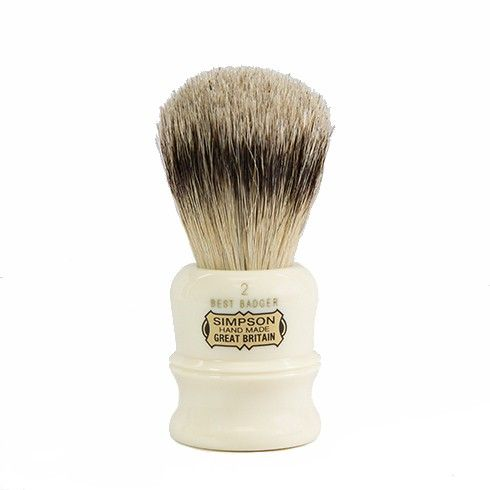 Badger for centuries has been used In Europe for shaving brushes, due to It’s absorbent nature and soft feel. It also works well to exfoliate your skin, making way for fresh growth. The head Is also Interchangeable which means after a decade of use, which Is about how long a Muhle knot will last. You can just screw In another. The handle Is aluminium and lined with brass pushing the weight to 127 g, the paint Is also a striking feature being anodized forest green. 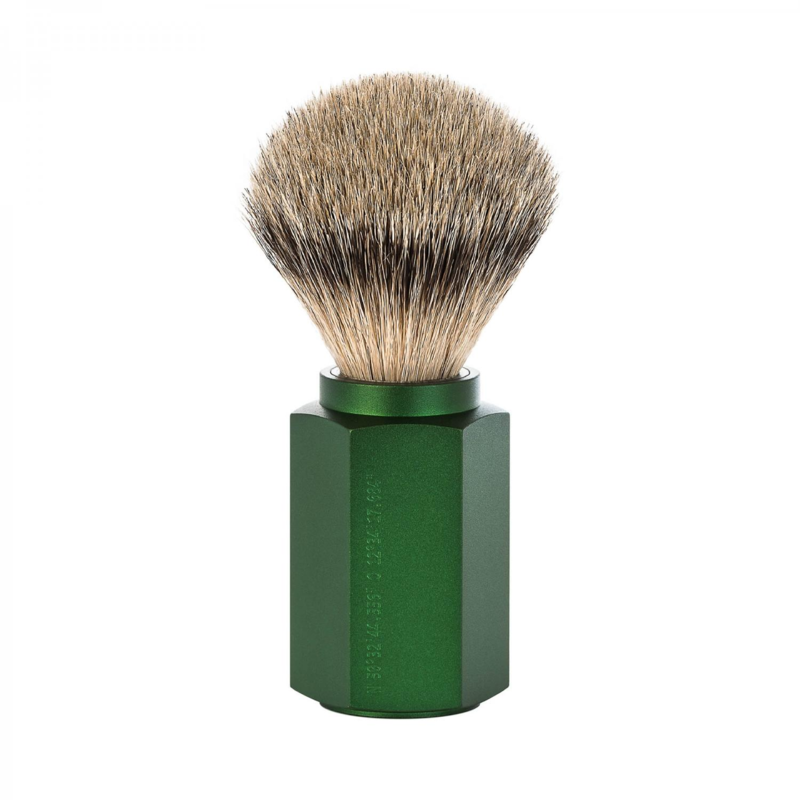 We at Edward’s traditional shaving emporium love to talk or blog about traditional shaving clobber like the, MÜHLE Hexagon, FOREST traditional Shaving brush. 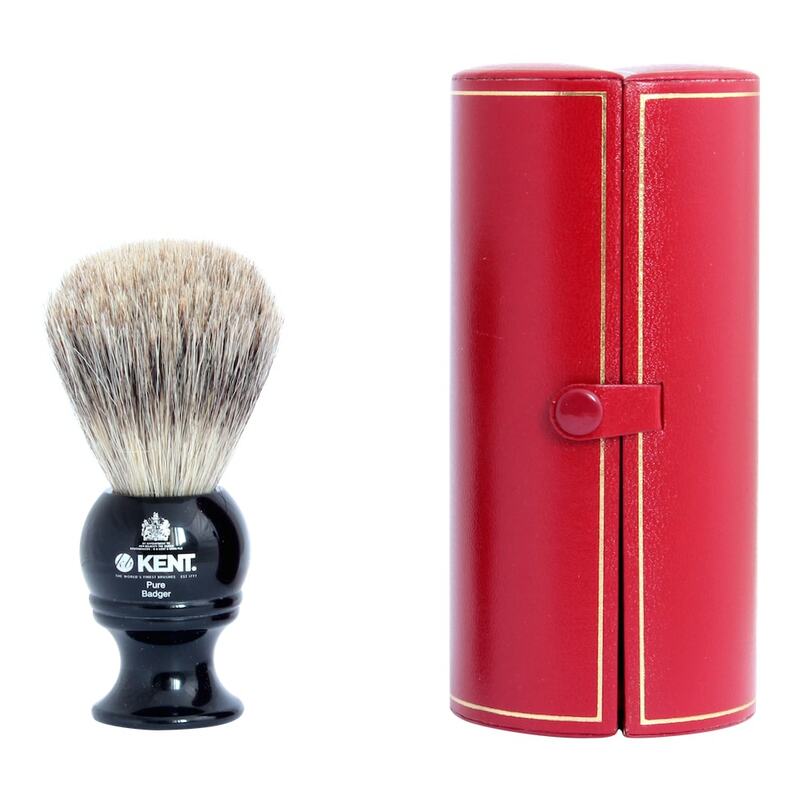 Why not have a look on our blog, It Is full of shaving know how, regarding traditional shaving technique.